Its new definitely it's better. 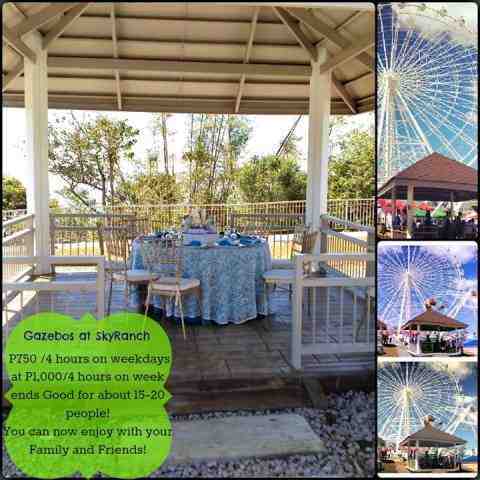 Skyranch Tagaytay offers a relaxing way to enjoy the calm and clean breeze of Tagaytay. Just after the end of E. Aguinaldo Hiway if you are coming from coastal rd. turning right going to Taal Vista Hotel. You won't miss the park as long as there are no fog. I have here a map to guide you. If you are looking for the entrance fee and ride fee I also have it included below.They are open daily from 8am to 10pm. In case you have some inquiry I have provide you here their Contact Details: SKYRANCH Tagaytay Admin Office at (02) 857-0100 loc 1653. 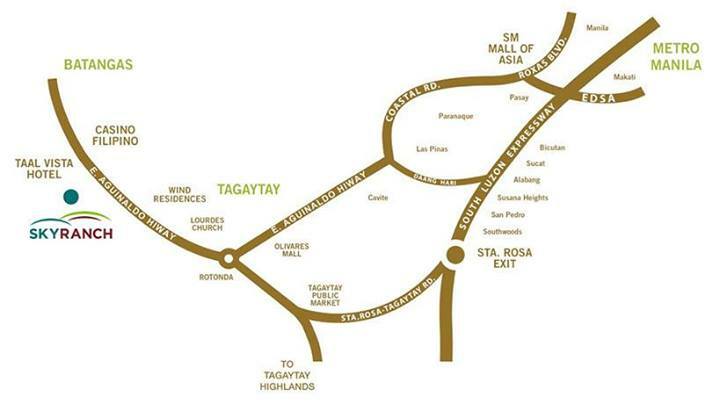 There is a general admission ticket of P50 and pay-per-ride attractions. Gazebo can accommodate 15 to 20 people. 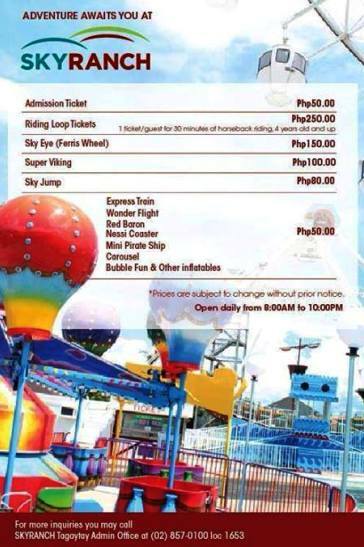 * Info from Sky Ranch Tagaytay Facebook Page.